The Geneva Music Festival’s (GMF) 2018 Season continues through June 17, with more exciting, moving and inspirational concerts taking place in Auburn and Skaneateles in the last week. 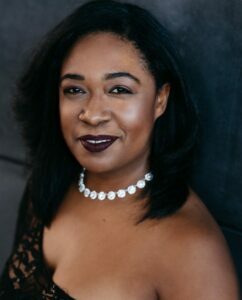 First, on Sunday, June 10 at 2 p.m., the GMF’s “Music, Poetry, and Perspectives: A Celebration of African American Culture,” comes to Skaneateles with “Blues and Spirituals.” Exceptional pianist Michelle Cann will make her GMF debut, performing with violinist Eliot Heaton, violinist Shawn Moore, violist Colin Brookes, Herd, and cellist Max Geissler. The program features Dvorak’s “American” String Quartet as well as David Baker’s piano trio Roots II as well as the world premiere of a piano quintet arrangement of Florence Price’s Piano Concerto in one movement. Raymond Nagem, associate music director at the Cathedral of St. John the Divine in NYC, returns to GMF to perform great works by Bach, Mozart and others as he showcases the majestic organ of Auburn’s Westminster Presbyterian Church. This concert takes place on Tuesday, June 12. On June 15 in Skaneateles, the GMF will present the Chamber Music Finale, “Ettore Causa and Friends.” Ettore Causa, one of the world’s leading viola soloists, also makes his GMF debut this year. He joins GMF founding musicians Collins and Herd, and friends violinist Shawn Moore and pianist Esther Park to perform treasured chamber works including Bartok Piano Quintet in C Major and Haydn String Quartet in D Major Op. 1 no. 3. Watch a video of Causa performing. Tickets for adult admission to each concert and an after-concert reception are $25 (ages 18 and under are free). All venues are wheelchair accessible and air conditioned. A full schedule including concert details and locations, artist biographies and tickets are available online.